Tracked down this hidden basement store through the Superfuture app on my Iphone. Have been a fan of it's creator, KAWS, ever since his "ad disruptions" in the mid 90's where he appropriated bus shelter ads with his cartoon skull and crossbones motif. 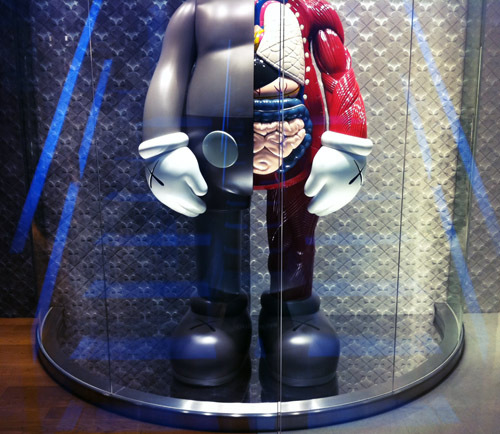 The cartoon anatomical figurine that greets you at the entrance is one of only two and cost $160,000.00.